Invisalign is a uniquely designed orthodontic treatment developed to correct mild to severe cases of malocclusion, including crowding, protruding or crooked teeth, overbites and/or underbites. Invisalign is an affordable option for correcting most dental malocclusion problems. You may be asking yourself, what is the difference between Invisalign and traditional braces? With Invisalign you can achieve very similar if not the same outcomes as traditional braces. The advantages of Invisalign are the comfort, flexibility, and ease of access to properly care for your teeth without having brackets, wires or rubber bands in your mouth. Invisalign uses a series of aligners to straighten your teeth over the course of your treatment. Aligners are smooth plastic trays that you wear over your teeth. Each set of aligners is worn for a few weeks before changing to a new set. The great thing about Invisalign is that there are no personal sacrifices in terms of food! You do not have to give up popcorn, chips, bagels, pizza crust, pretzels, nuts, apples, carrots, or corn on the cob. Fortunately, Invisalign aligners are removable, therefore allowing you to eat and drink as well as brush and floss your teeth as you would normally do. The aligners are worn for 20-22 hours a day while they gradually move your teeth into their correct positions. The aligners should only be removed to eat as well as brush and floss your teeth. Often times crowding or malocclusion issues can lead to swollen, red, bleeding gums. These are signs of periodontal disease. By properly aligning the teeth, inflammation is reduced, allowing your gum tissue to fit properly around the teeth. This provides a defense against potential periodontal problems. Food debris and plaque build-up can lead to tooth decay. In order to maintain strong healthy teeth, simply remove your aligners and brush and floss as you would normally do. Try to avoid eating and/or drinking while your aligners are in your mouth. Talk to your dentist about your interest in Invisalign. Your dentist will take impressions and photos and send them off to Invisalign. A customized treatment plan will be created just for you. After your treatment plan is created, you will then go into your dental office for a brief viewing of a virtual presentation of your anticipated final outcomes. Upon your approval of your anticipated outcomes, Invisalign then fabricates your series of aligners and sends them to your dental office. Your dental office will then call you to schedule an appointment for you to come in and receive your first set of aligners. Over the course of your Invisalign treatment you will change out your aligners every few weeks. After the completion of all of your aligners, retainers are then made to keep your teeth in their new positions to keep that new smile looking great. 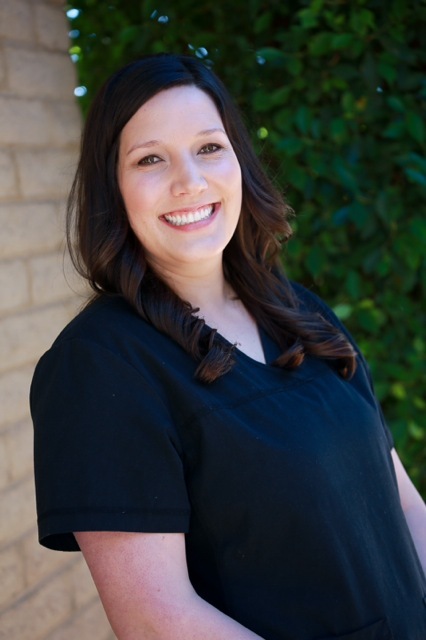 We look forward to helping you create that new smile that you have always wanted.